In the last year I have shot a number of rolls of Portra 400 35mm film. I only really like this film when taking pictures of people. Portra 400 in my experience does a very good job of white skin, but any landscape and my results have been just OK. This compares with Velvia 50 which I find magical, and Kodak Ektar 100 which I get very good results from. All of the landscapes I spent a lot of time enhancing them. 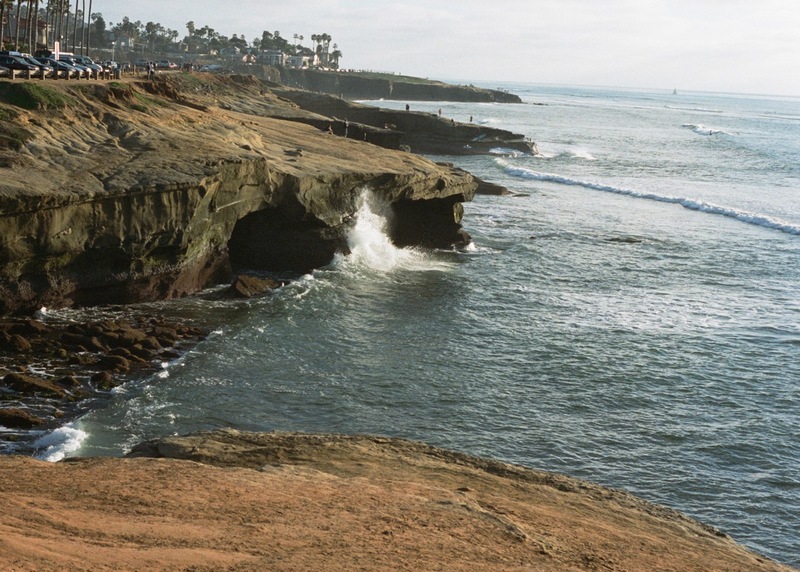 Sunset Cliffs in San Diego using portra 400. The above picture is of Sunset Cliffs in San Diego. I had to do a lot of computer work with iPhoto and Aperture to get it this good. 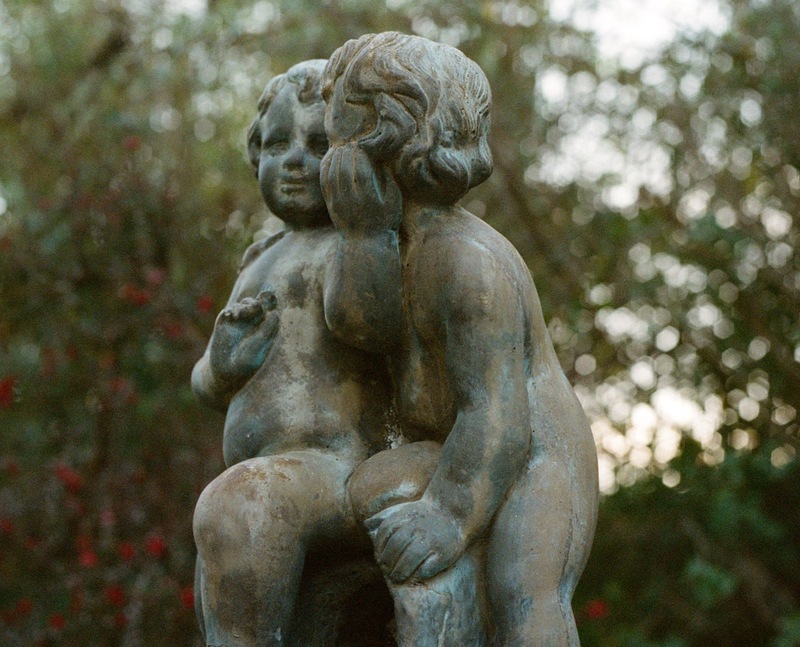 The above picture to me was the surprise gem of the roll as the statue in the foreground is fairly sharp and the background has a great bokeh combined with film grain. I really like the background which to me seems like an impressionist style painting look. Combo of people and landscape. I improved the water colors but put more red into the faces than I like. Here is an OK picture with people and landscape. The faces went reddish when I post processed them to improve the landscape. I know I could have spent more time and adjusted just the faces back to better tones, but that is just more work than I wanted to put into it. Most of the time when taking Velvia the shots come good right out of the camera. 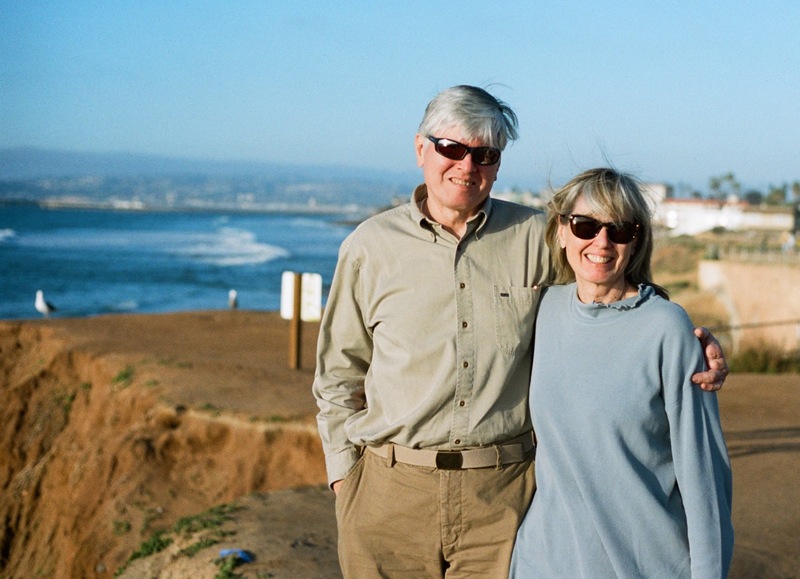 If I was going to a family gathering or one of my grand children’s birth day parties Porta 400 would be the film to grab. It seems to nail face tones every time. But for landscapes Velvia would be my choice.